If you’re a retailer or CPG manufacturer, you’re likely to be familiar with SmartLabeltm, an innovative transparency initiative created by the Grocery Manufacturers Association (GMA) and its members to provide consumers with detailed information about the food, beverage, personal care, household and pet care products they use and consume. SmartLabel uses digital technology and smart devices to bring consumers information about hundreds of product attributes that go far beyond the printed label, providing instantaneous access to detailed information about thousands of products. 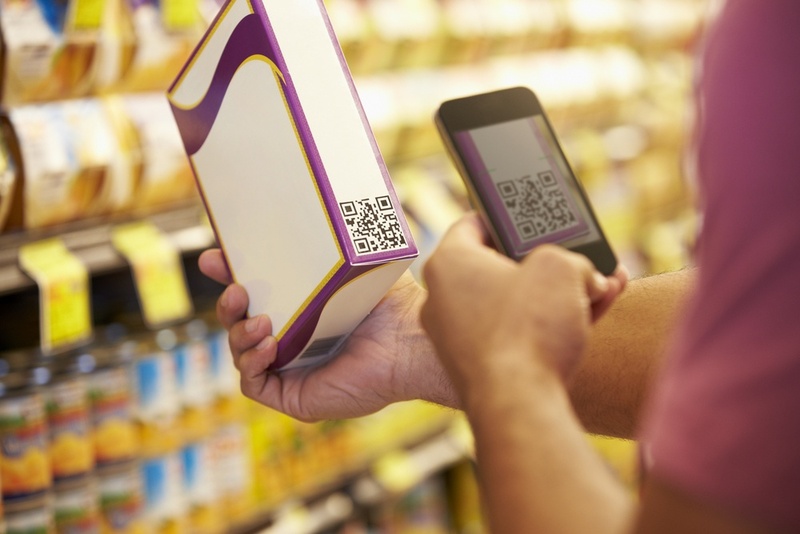 Consumers can access SmartLabel information in a variety of ways: via search engines like Google or Bing, on a participating brand or retailer’s website, or by using a smartphone to scan a QR code on the package. By the end of 2017, GMA estimates that more than 30,000 consumer products will be using SmartLabel, a number that will only increase as more brands join the initiative. Pre-built Attributes – the solution should have the pre-built data attributes and validation capabilities needed to fully support SmartLabel. Attributes within the solution should be easily captured as defined by the GS1 Global Data Dictionary. Data Model and Syndication – how the solution stores and transmits data. Flexibility – the data model should be flexible enough to allow the brand manufacturer to select and/or configure which GS1 attributes it will use to populate the SmartLabel fields. Storage – the solution should easily store the landing page URLs and product images needed to provide full SmartLabel support. Syndication – the ability to validate data to downstream applications such as website integration tools and capable of syndicating URLs for respective UPCs, product images and product information updates. Integration – the capability of integrating with SmartLabel partners such as 1WorldSync. Data Quality - SmartLabel solutions should be able to validate the completeness of a product’s information based on the SmartLabel requirements. It should be able to easily indicate the completeness of a product’s data through visual indicators or percentages and also be ready to create or send reports on incomplete products. Business Process and Workflows - In the case of incomplete product data, solutions that can initiate a workflow to ensure record completeness are beneficial. Additionally, solutions should include role-based user interfaces specific to SmartLabel records, manual review triggering and comprehensive data governance capabilities. Stibo Systems is a SmartLabel Data Management Knowledge Partner, dedicated to non-competitive knowledge sharing, training and developing best practice rules of engagement. With our deep experience in the CPG and retail industries, we are also committed to delivering our Master Data Management solution 100% in lockstep with SmartLabel’s implementation guidelines for data management. Our solution is certified through 1WorldSync to transmit product data via the Global Digital Synchronization Network’s (GDSN) Major Release 3. Our Master Data Management solution's ability to model existing product data for SmartLabel without creating separate data siloes drives operational efficiency, consumer transparency and trust. If you would like to learn more about our solution or the SmartLabel program, please contact us.